Tactics. From Jose Mourinho and his impenetrable bus to Pep’s intricate spiderweb and LVG’s mysterious ‘system’, there’s long been an assumption that the hours put in at the chalkboard are what separates the great from the good, and the good from the chancers. Today’s column is not about that. This time, we are going to look at the less defined, less quantifiable qualities of managers: psychological guff. QPR are back on familiar territory: relegation battle, financial issues, and a ‘caretaker’ manager in Chris Ramsey. Poor ol’ Chris has a thankless task. With no resources and the inheritor of a Redknapp transfer policy, his limited timeframe has reduced his options to finding a way to convince the players that staying up is better for all concerned. Well, except Chris. It would hardly be surprising for the board to give the man a handshake and a carriage clock even if he does the impossible and keeps the club afloat. 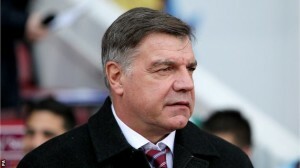 This Saturday West Ham and Sam ‘Allardycii’ Allardyce roll into town. A man part travelling salesman/part huckster, he’s gone from playing ‘good looking football’ (a last season demand of the board) to to a slide that suggests he’s run out of his miracle tonic a half season ago. The bluff don’t work, and Ramsey’s boys still have fight in them at home. Bet victor are offering 12/5 for the draw, fair for a fixture where one team is having Bosingwa-flecked nightmarish flashbacks, and the other thinking about their Andy Carroll-organised themed holiday. It’s hard not to like Burnley and their manager, the fair balanced/cuddly Sean Dyche. He clearly has the respect of the players and the admiration of the fans. However, the cold realities of the premier league were apparent to him for quite some time now. Based on form alone, this one has the Foxes name all over it. Burnley have had unquestionably the tougher run of games; but if we analyse the carrot vs stick approach of both managers, I’m going with the throat grabbing Pearson over the warm reassuring hugs of the ginger Mourinho. William Hill offering 21/10 on a Leicester win. Tim Sherwood. Tim. Timbo. Corporal Tim. Tim ‘n’ Les. Tactics Tim. Whatever your preferred incarnation of Mr Sherwood as an object of derision, one thing is for sure: if he’s a confidence trickster, the tricked worked. The players have it. The fans have it. Confidence. No team ever facing relegation ever sounded confident. Sherwood is unlikely to be one of the greats, but he may have a Pulis-like quality for pulling asses out of the fire. He’s already silenced one half of Merseyside on his way to a cup final and may well yet keep Villa up. lets not underestimate one thing: the man has a Robert Redford-like quality in dealing with the most skittish of outfield players – the striker. Adebayor and Benteke put in shifts under the man whose better regarded(though I can’t imagine why) predecessors were unable to achieve. Tim may indeed be a guff merchant, he may well be full of hot air and all-talk, but success breeds success; it’s the law of attraction and the greats have always believed that too. The sight of Sherwood flinging his gilet into the crowd in celebration of an equaliser may make quite a few chuckle and mock; the analyst sees something different: a carefully orchestrated show of strength as he stalked back and forth on the touchline, cocky as you like, in full show of fans and players. This is how leaders convince those on the ramparts that the fortress will hold. A keep is only as strong as its king. Tim may not do tactics, but he sure does tribalism. All logic should tell us that city are going to eat them alive. Boyle sports is offering a whopping 13-1 on a Villa win. The question is, will you throw out your logic and BELIEVE?